The Deputy Sheriffs’ Association of San Diego County on Thursday announced it has endorsed Councilwoman Lorie Zapf for south coastal District 2 on the San Diego City Council — left vacant when Kevin Faulconer was elected mayor. Zapf — switching from the inland District 6 — will face federal prosecutor Sarah Boot; Pacific Beach community activist Jim Morrison; and Mark Schwartz, a marketer of organic fertilizers, in the June election. 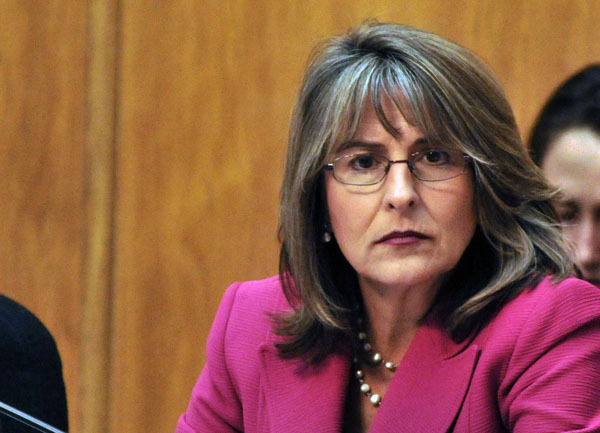 “Lorie Zapf’s experience and commitment to public safety makes her the clear choice for San Diego,” said association President Matt Clay. Zapf also partnered with then-Councilman Faulconer to establish a Police Recruitment and Retention Program, an effort aimed at keeping experienced SDPD officers from leaving to competing law enforcement agencies, she said. The Deputy Sheriffs’ Association of San Diego County is the professional labor organization of more than 2,000 sworn deputies of the San Diego County Sheriff’s Department.